No matter what kind of repairs your engine may need, we can handle them. We have replaced over 5,000 engines at our shop. We can perform engine repair services in no time at all. You can count on us no matter what your engine problems. Need a new engine for your car? Replacing an engine is cheaper than buying another car! We care a lot about helping people with their car troubles. You can count on us for honest and efficient service. For over 10 years, American Engine Installation has been providing Marietta and Atlanta, GA with rebuilt engines at affordable prices. Our customers save thousands by replacing their engines rather than taking on a new car payment when the rest of the vehicle has many years of life left. 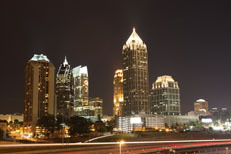 Why is engine replacement in Marietta and Atlanta, GA such a good deal? Having a new engine installed gives your vehicle a new lease on life that a comparable used car won’t. Even an affordable used car that sells for several thousand dollars has already seen years of wear and tear and tens of thousands of miles! The only way you can get a car with an engine that has no miles is to buy a brand new car and be stuck with car payments for years to come. 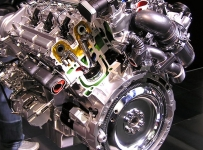 A remanufactured engine can cost as little as 10% of the cost of a new car! Replace Your Engine, Not Your Car! Did you know that the average cost of a new car is about 10 times the cost of an engine replacement? That’s right! Plus, the cost of full coverage insurance combined with your new car sales tax can typically exceed the cost of replacing your engine. And if that isn’t enough, the interest that you will pay on your new car over the next 5 years can alone exceed the cost of replacing your engine! That is why our customers save thousands by investing their money in engine replacement service instead of buying a new car. The engines we install are factory rebuilt to ensure only the very best quality of workmanship. Your rebuilt engine will perform just like a new engine and last for years to come. Our team of professional engine installers are certified and highly experienced in the field. Our rebuilt engine company has replaced over 5,000 engines in the past 10 years. All we do is engines! While we do offer engine repair as one of our services, sometimes it makes more sense to replace than repair. When our customers come to us with an engine that has many miles and a blown head gasket, for example, it may not be worth it to repair. While we can do the repairs, we are upfront and will give you a realistic advice as to repairing vs replacing your engine. It makes little sense to spend $1,000 to repair an old engine, only to have something else fail within months because the whole engine has seen better days. Why not spend a little more and replace the entire engine, thus guaranteeing you years of reliable service? So for the best-rebuilt engines in Marietta and Atlanta, GA, stop by or give us a call today! We’ve been a family owned and operated business for over 10 years. Our shop has completed over 5,000 engine installations and is proud of our numerous satisfied customers. We are committed to honesty and integrity and treat our customers like they were family. We carry an exceptional A+ rating from the BBB. Replacing your engine is not a small task, and must be done right to ensure years of reliable service afterward. At American Engine Installations of Marietta and Atlanta, GA, all we work on are engines. This allows us to offer better quality of work than general auto repair shops which work on all aspects of your vehicle. Our technicians have worked on over 8,000 engines, so you are sure to get the very best in workmanship when replacing your engine. Customer service is important to us, and we stand behind our work with a 3 year / 50,000 mile warranty to ensure your satisfaction. So give us a call today for a free quote. We look forward to hearing from you and hope to be of service. Whether you drive a lot of miles every year, and your engine is wearing out, or something has malfunctioned and has caused your engine to fail, we have a solution to your problems that will save you a lot of money. If you have a low mileage engine that needs repair, we can do everything from installing new cranks to replacing head gaskets. If your engine has seen years of wear and tear, it might be a smarter option to opt for an engine replacement. By spending a little more, you can give your car a whole new lease on life! Many times, replacing your engine with a newly factory remanufactured engine only costs 10% of what a new car would cost. This allows you to avoid years of car payments! Think about it, if an engine runs you $3,500, and you made payments of $350/month, in 10 months you have paid for a vehicle that now has an engine with ZERO miles on it that is capable of providing years of reliable service! If your car or truck has engine trouble and needs repair services in Marietta and Atlanta, GA, come by our auto shop today! Put our experience and expert knowledge to use! We’ll get you back on the road in no time. 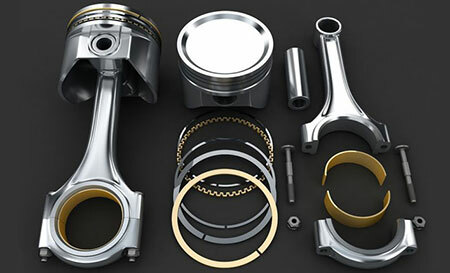 If you are looking for the very best in engine rebuilding service in Marietta and Atlanta, GA, you came to the right place! We have access to the finest quality factory remanufactured engines available. We have been replacing engines for over 10 years and have several thousand satisfied customers in Marietta and Atlanta, GA. Engine rebuilding is not a small repair, nor should you trust the average mechanic to the job. 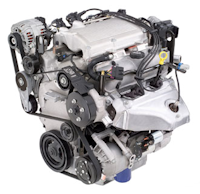 A professionally remanufactured engine will provide years of reliable service. Why spend $1,000 on a head gasket repair if the rest of the engine is worn out? It isn’t terribly expensive to replace your engine altogether, and that new engine will provide years of reliable service. You could replace your car with another comparable used car, but that car will have years of wear and many miles on its engine as well. The only way to get a motor with zero mileage is to either buy a new car altogether or replace your engine with a factory refurbished engine. Replacing an engine typically costs 10% of the cost of buying a new car, and the money you can save from interest, tax, and full coverage insurance alone can easily exceed the cost of an engine replacement. Our company has been in business for over 10 years and has installed thousands of engine rebuilds in Marietta and Atlanta, GA. Give us a call today for pricing and more information. We look forward to being of service! Posted on August 19, 2014 by American Engine Installations.